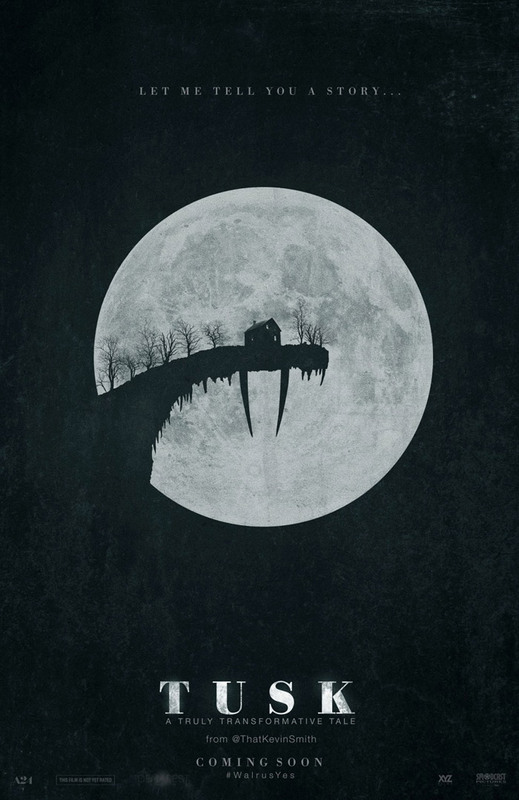 Michael Parks, Justin Long and Haley Joel Osment star in writer/director Kevin Smith’s thriller Tusk, conceived from one of Smith’s own Smodcasts. Check out the movie trailer and poster below. ‘Tusk’ follows Wallace (Long), a journalist on a mission. He finds the story of a lifetime in Mr. Howe (Parks), a worldwide adventurer with amazing tales and a curious penchant for walruses. MPAA Rating: (R) for some disturbing violence/gore, language and sexual content. 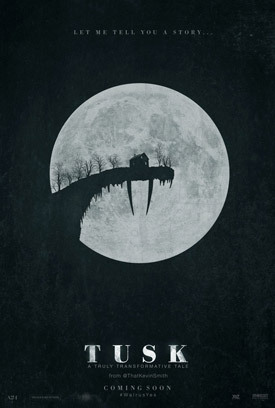 From filmmaker Kevin Smith (Red State, Dogma, Chasing Amy), TUSK stars Justin Long (Drag Me to Hell), Michael Parks (Red State), Genesis Rodriguez (The Last Stand) and Haley Joel Osment (Amazon’s Alpha House, The Sixth Sense). The story follows Wallace (Justin Long), a journalist on a mission. He finds the story of a lifetime in Mr. Howe (Michael Parks), a worldwide adventurer with amazing tales and a curious penchant for walruses.